Solution: Entropy increases with increasing temperature.Why does the plot show vertical jumps at the melting and boiling points? Entropy increases with increasing temperature. 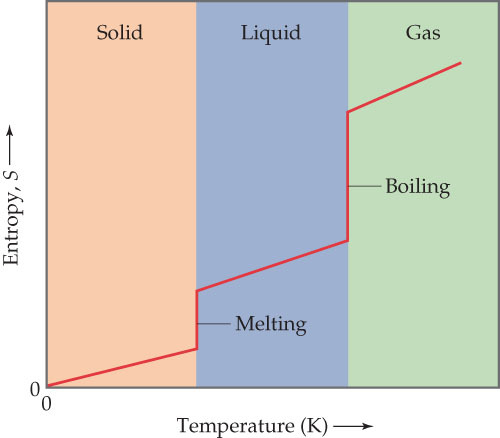 Why does the plot show vertical jumps at the melting and boiling points?